We all know that sitting down for long hours in front of your computer isn’t that good for you, which is why Benjamin Cselley came up with this chair concept, that doubles as an exercise machine. It comes with built-in resistance handles and footrests to help stretch out your muscles. 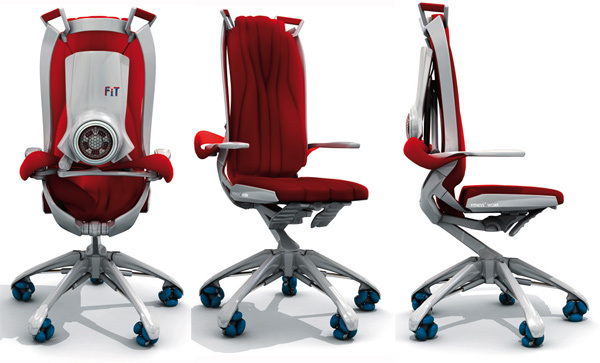 The Fitness@Work chair has an expanding base that will provide added extra stability when you are working out on it. You can lift the backrest to do horizontal exercises with your legs and feet, thanks to the spring-resisted foot stirrups. The bottom cushion rotates when unlocked for twisting maneuvers. This isn’t bad as a workout concept, but it’s still better to stand up instead of sitting down all the time. This chair definitely looks more versatile and sophisticated than the already-on-the-market Gymygym workout chair. 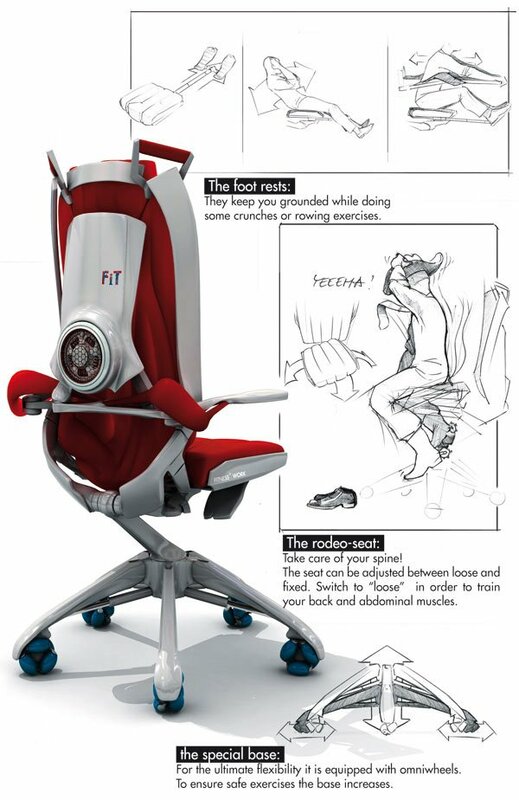 For now, the Fitness@Work chair is just a concept, but since there aren’t any overly futuristic ideas implemented into it, it should be possible to make it with existing technology.